If your local Danish safety representative is absent, or you have a particularly busy period, our consultants are all experienced with the Danish pharmacovigilance legislation, and with safety training of sales staff, writing local SOPs, doing reconciliations and other tasks normally handled by your Danish safety representative. Please contact us if you have a shorter or longer term need for assistance. Due to medical expertise as well as numerous years of pharmacovigilance experience, our Danish-based consultants can act as EU-QPPV for your small pharmaceutical company and offer assistance in setting up the necessary procedures to support this role. The team is trained in data entry in the major used safety databases, and our consultants can handle every step from book-in, through data entry, quality control, safety review, medical review and distribution/reporting to authorities and partners. With the release of the EU GVP Module V in March 2017, pharmaceutical companies need to adapt to a new standard of reporting. Our consultants are experienced in the old and the new format and can help you transfer into the new format; and additionally we are ready to help you with the content as well due to our experience across many different therapeutic areas. We are all very experienced writing other aggregated reports such as PSUR, DSUR, ACO and perform the benefit/risk assessment necessary for concluding on the safety of your product. Pharma IT provides expert medical writing services in all key therapeutic areas. Our highly qualified professionals possess consummate medical writing expertise backed by years of experience in preparing clinical, regulatory, pharmacovigilance, and medical marketing documents for the world’s top pharmaceutical companies. We possess expertise in reporting various types of research, including interventional studies, observational designs, pharmacokinetic/pharmacodynamic modeling and simulations, health economic assessments, and real-world evidence studies. 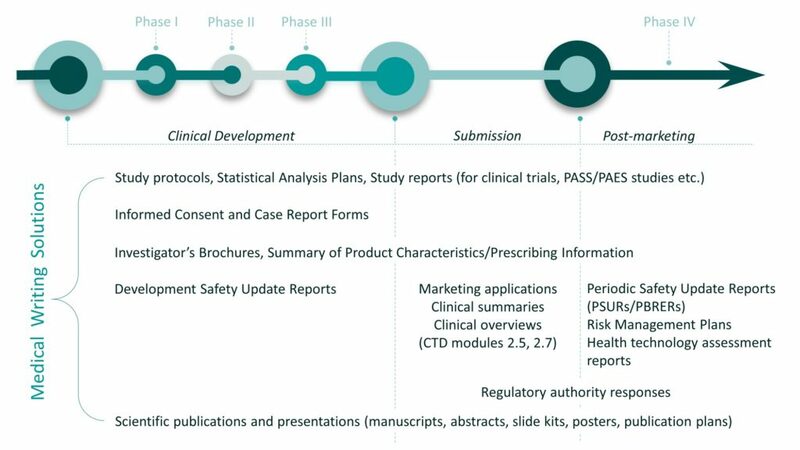 At Pharma IT, you can expect a high level of scientific rigor and consistent delivery of high-quality guideline-compliant documents to support your clinical development and lifecycle management programs. If you want to learn more about our services, please contact Ea Marie Holst at eah@pharmait.dk / +45 3022 2321.